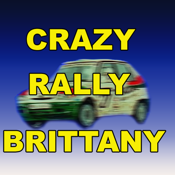 A fast and furious rally driving game! Drive as fast as you can through the Brittany countryside! Set a fast time - then try to beat it! Steer the car by tilting the phone! A game for all the family!